ABOUT USLocated on Tran Hung Dao street, in the center of Nha Trang city, only 5 minutes from the Nha Trang railway station, 30 minutes from the Cam Ranh airport, and especially just 3 minutes walk to Nha Trang beach. 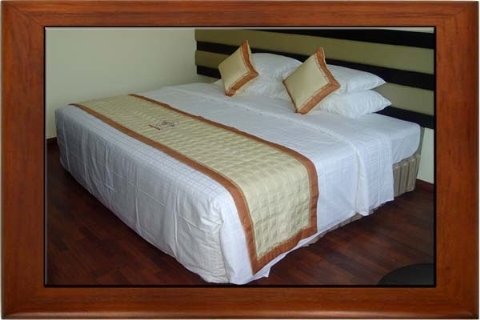 This is the perfect location for you when travelling in Nha Trang city. Besides, our hotel has Beauty salon with many Beauty treatment: Hair dressing, make up, waxing, nail art, swimming pool… Leave life"s stress behind you, the Spa area offers sauna, steambath, jaccuzi, body massage, foot massage, facial massage…will make you fell relaxed and renewable your health. 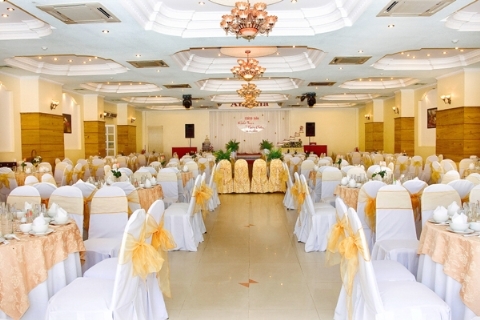 The conference room located on the 1st floor with 300 seatings is equiped the modern lighting and sound system. 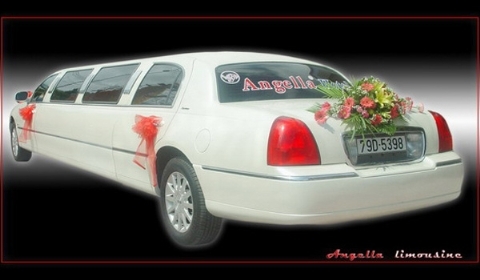 The Angella 1, Angella 2, Angella 4 are the professional wedding restaurant. Angella – The art wedding . 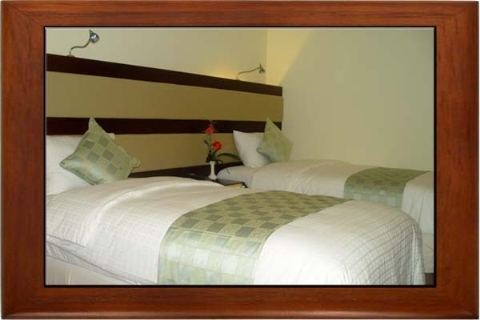 Angella hotel wants to satisfy all the guest’s need. 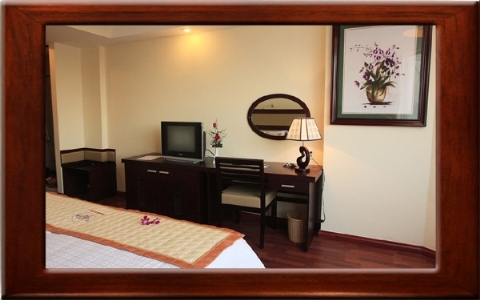 Located on Tran Quang Khai street, in the center of Nha Trang city, only 100 metres to the beach. 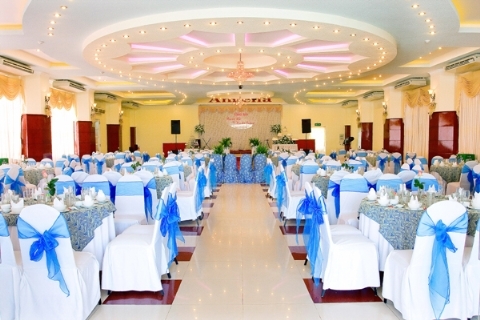 This is the perfect location for you when travelling in Nha Trang city. Angella guest house is available for any guest who would like to have a clean, comfortable and safe room during your holiday here. 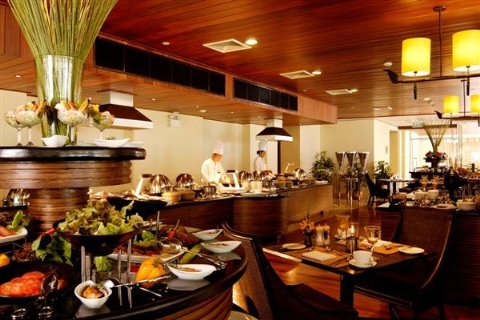 Angella restaurant will serve lunch or dinner for group of guest , Europe à la cart menu, Angella broken rice and especially Angella ice-cream with 07 flavours. There are one King size bed with private balcony. From your room, you can see Nha Trang city view with your darling. It is appropriate for the lovers. Accomodation: All rooms are equipped with: Electronic key card, IDD telephone, Cable TV with a wide range of favorite channels, Air-conditioner, Hot & cold water , Wireless internet, Safety box, Minibar, Hair-dryer, Bathtub, Toilet kit, Slippers, Wardrobe, dressing-table. There are one King size bed with private balcony. From your room, you can see the sunrise on Nha Trang beach in the morning. It is appropriate for the lovers. Accomodation: All rooms are equipped with: Electronic key card, IDD telephone, Cable TV with a wide range of favorite channels, Air-conditioner, Hot & cold water, Wireless internet, Safety box, Minibar, Hair-dryer, Bathtub, Toilet kit, Slippers, Wardrobe, dressing-table. There are one King size bed, one living room, one bed room and two toilets. From your room, you can see the sunrise on Nha Trang beach in the morning. 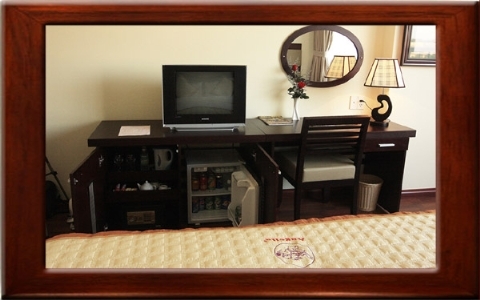 This is our VIP room, the most luxury room in Angella Hotel. Our rooms meet the international standard, opulent and modern. From your room, you can see Nha Trang view with your darling. This is 02 separate rooms connected by a door. It is appropriate for family and the couple of friends who want to stay together. There are 01 triple room & 01 twin room, 02 toilets. From your room, you can see the Nha Trang view with your darling. This is 02 separate rooms connected by a door, It is appropriate for family and the couple of friends who want to stay together. There are 01 Triple room & 01 Twin room, 02 toilets. From your room, you can see the sunrise on Nha Trang beach every morning with your darlimgs. When you come to Angella Spa, you will feel light by a fresh, natural and quiet space; gentle, lilting melody; and the scent of essential oil, leaves. When you have time, you should spend to relaxation at Angella Spa. Here you will have therapy all body and dispel stress which you are bearing. With a friendly smile, Angella Spa will help you both reducing to stress and more and more beautiful. Wedding day is the greatest day in the woman’s life. At that time, you not only become the centre of attention to everybody but also the prettiest bride. As you know, there are a lot of works which make you stress, nervous before wedding day.You should begin to relaxation and forget the nervously by the method of Spa. Come with us- Angella’s beauty salon & Spa where you are taken care of services the best. 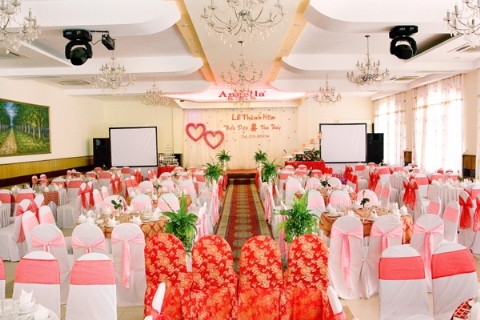 Especially, the care of packages are designed for the bride and groom only prior the wedding day at Angella Spa. - Body care: massaging, relaxing body by natural essential oil.